If you told me ten years ago that retreats would be a source of pure happiness and joy for me, I would have laughed out loud. My first retreat was to Kripalu in the Berkshires. I want to learn to play golf. Swing golf to be exact and it was tied to yoga and Thai massage. I figured that was a great combination and if I didn’t like one, I had something else to focus on. I loved it all! In fact, I’ve been back more than 20 times to Kripalu alone. It was there that I first met Ken Nelson. Ken was leading a general early morning yoga session. He was so kind, gentle and his voice very soothing. We have known each other more than 10 years now. I have taken a week-long program on designing workshops with him AND Bill and I went to a yoga & qi gong retreat to the Dominican Republic with him and his partner Lesli…but I digress. I’ve been on retreat more than 30+ times now. I’ve learned so much about what works and what may not work so well and have incorporated into this Rise Up Retreat. Actually, just went to the Omega Institute to study with the authors of The Four Agreements and will be studying with Jack Canfield next month. It’s so important to keep growing, learning and investing in ourselves–emotionally, physically and spiritually. Play full out. This means come with an open mind and heart for what might happen during the retreat. Don’t edit or judge. Just be with it. Be present. Disconnect from social media. Stay away from TV and newspapers. Check in at home as little as possible. Self-care. Be sure to eat well, get plenty of rest and avoid as many stimulants as possible (yep, consider skipping the caffeine and adult beverages). Maybe even schedule some body work while you are on retreat. If possible, block out a half day or full day before you have to transition back into the “real world” to absorb a bit more. Journal. Keep track of what you are learning and what you want to capture for the days and weeks ahead. This is a great place to release feelings and emotions too. Find an accountability buddy. You’ve just had this terrific shared experience with a group of like-minded people. Find someone who you can keep in touch with as you implement the ideas and tools. You don’t have to be best friends or keep in touch for ever but it’s helpful to have someone to check in with for a few weeks to a few months. 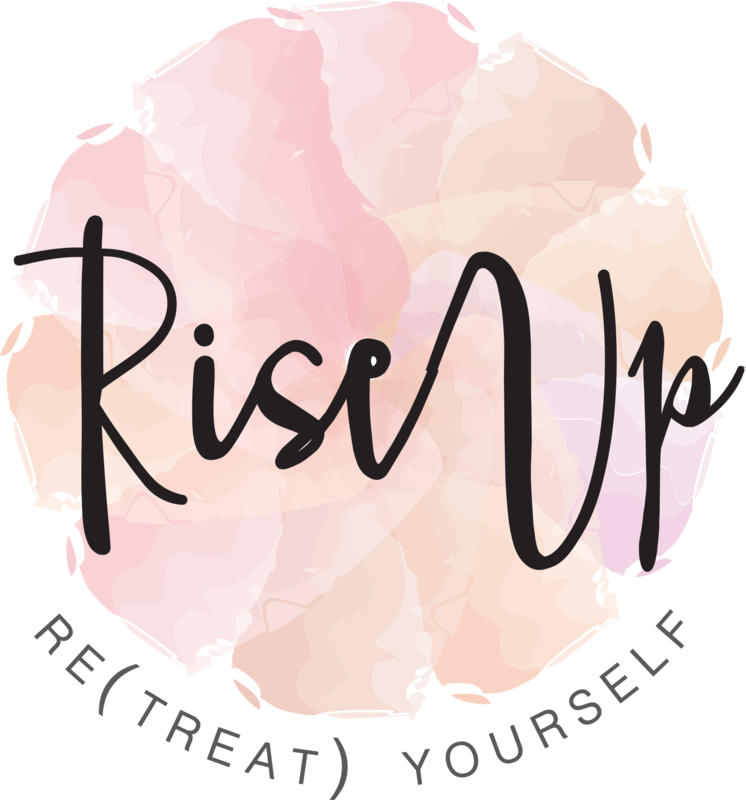 I’ve heard from so many of you who are excited about the Rise Up Retreat but are struggling to pull the trigger because let’s face it, November is just so far away! I get it! It’s hard for me to think that far out too. It’s a gift to carve out that time for yourself to regroup, retool and rejuvenate. Because we don’t want you to miss out on we are running early bird special pricing, until September 7th. If you truly want to attend but still have questions or concerns, just give me a call. I know we can work out a solution. Send this along to a friend and inspire them to join you. I can’t wait to talk with you. Call me, Paula Harris, at 781-934-9154. Reach out today!